It is that time of year again. It's the time when I pretend to be a bass fisherman. 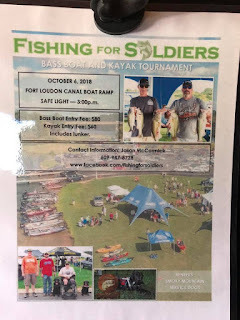 I will once again be competing in the Fishing for Soldiers tournament this Saturday. If you live near East Tennessee and haven't signed up for this event, you are missing out. 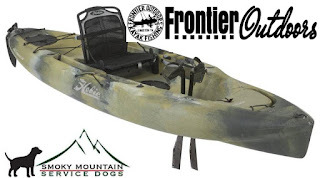 Every year first place in the kayak division wins a new kayak. This year is no different. First place will win a 2018 Hobie Outback. That is one heck of a prize and is more than enough to encourage me to bust out my bass sticks for a day of ditch pickle fishing. I am no bass fisherman and if Las Vegas were taking bets, I would certainly be a long shot to win. Nevertheless, this is a fun event to fish anyways. It is always well organized and there are ton of other prizes that will be given away. Nobody ever leaves this event empty handed. On top of that, proceeds go to benefit Smoky Mountain Service Dogs which is a wonderful charity local to this area that raises service dogs for disabled veterans. If you are interested in fishing in this tournament, there is still time to register. Go to tourneyX and search for fishing for soldiers. The entry fee is $60 which includes big bass. There will be a cash prize paid for the biggest largemouth and smallmouth bass. 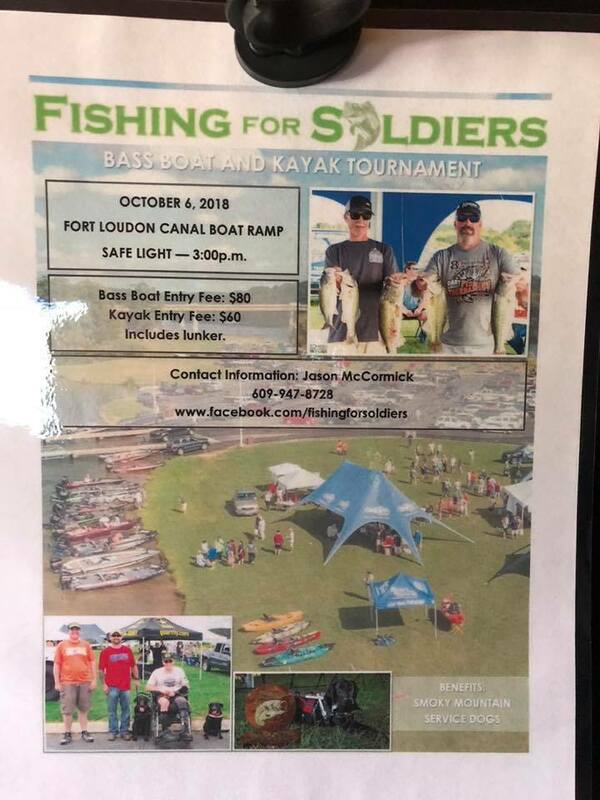 Even if you don't want to fish in the tournament, I would encourage you to come out to the weigh in at the Fort Loudon/Tellico canal ramp at 3:30 on Saturday. There will be a lot of great items up for raffle and activities for your kids as well. Hope to see you there and if you do make it out, come say hi. Wish me luck!